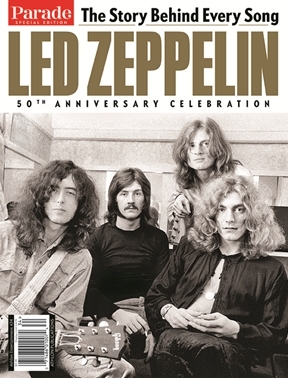 Led Zeppelin is one of the most successful, innovative and influential rock groups in history, and the second-best-selling band in the US, eclipsed only by the Beatles. Next year, the quartet will be celebrating their 50th anniversary, and what better way to reward their millions of fans than with an incredible collector’s item exploring every song in their discography! The stories and lore surrounding anthems such as “Stairway to Heaven,” “Dazed and Confused” and “Kashmir” are all here, in a handsome and comprehensive package featuring rare photos and interviews with the entire band. It’s a whole lotta Zeppelin—and a whole lotta fun.